Used as a purifying substance most notably mentioned in the Old Testament, hyssop essential oils also contain antimicrobial and disinfectant properties. 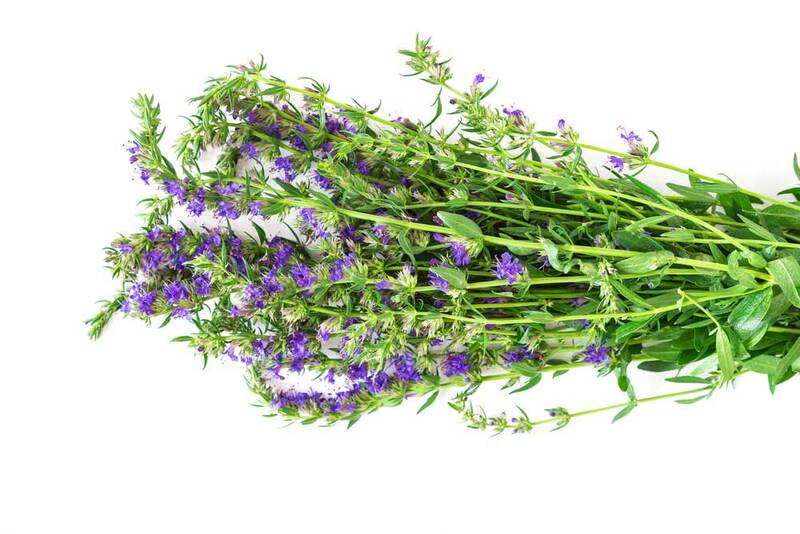 They are derived through steam distillation from the flowers and leaves of a shrub referred to as Hyssop. This shrub, in ancient times, was a sacred herb and considered holy in the Mediterranean region where it grew. These oils have a thin consistency and an aroma described as warm, herbal, spice-like, and fresh. For those interested in mixing essential oils they blend well with myrtle, cajeput, niaouli, ravensara, rosemary, melissa, tangerine, orange, geranium, lavender, angelica, and eucalyptus. Common uses of these essential oils involve their effectiveness against sore throats, tonsillitis, mumps, flu, colds, coughs and other diseases which result from viral infections. They are also used as treatments for inflammation, dermatitis, eczema, asthma, and bronchitis. Because these essential oils contain a nerve stimulating compound referred to as Pinocamphone, they should be avoided by individuals that are pregnant or by anyone with epilepsy. Additionally, because they are hypertensive, they should not be used by people who suffer from high blood pressure.